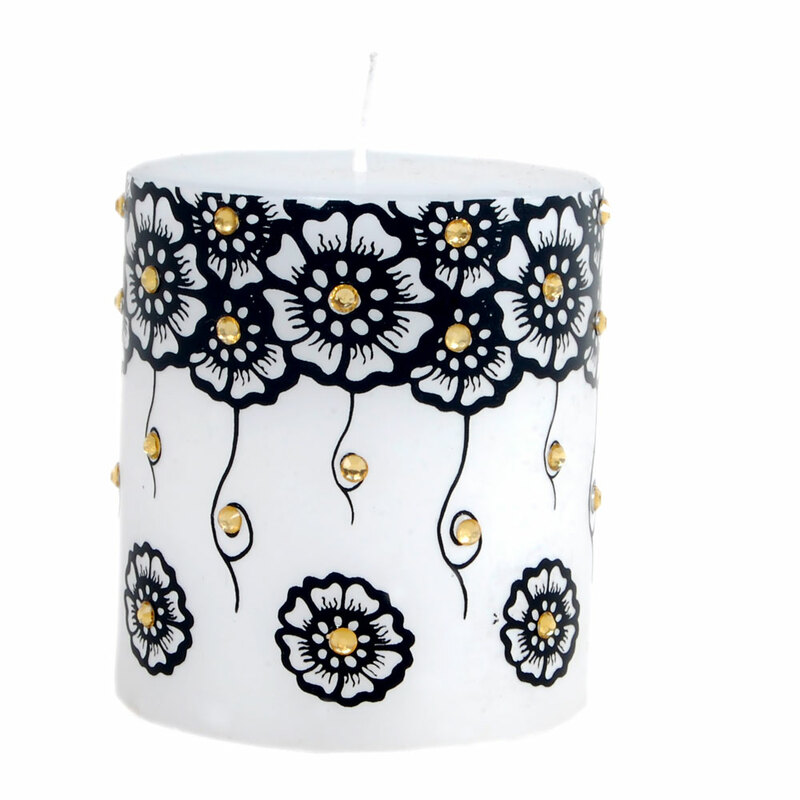 The Decorative Meenakari Candle piece is a total winner because of the presence of the rich traditional artwork on its body along with brilliant design Read More..conception and execution. The intricate floral pattern on the body of the candle serves as the tour-de-force, while the muted color scheme adds to its classy elegance. The abundance of the shade black on the pristine white body provides stunning contrast, while the presence of yellow color in limited extent breaks the monotony. Therefore, this piece can be the ideal choice for all those with a soft corner for tradition art forms, and can add elegance to any place it is present. Show Less..